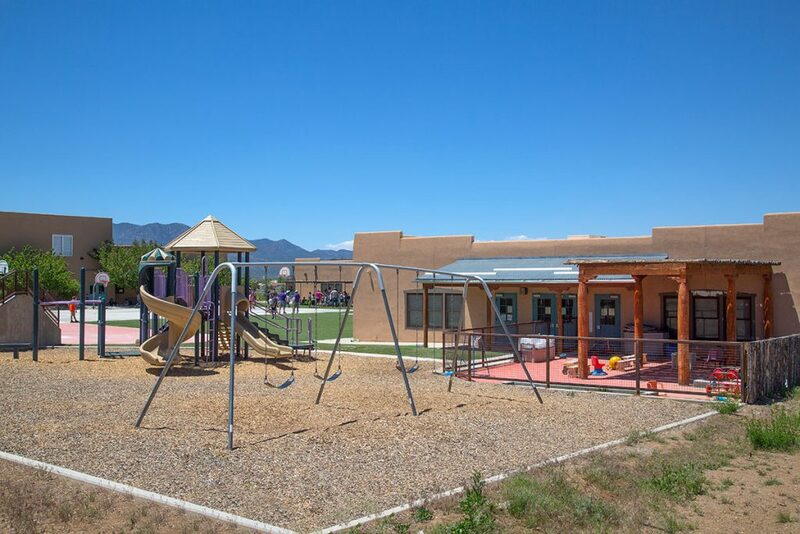 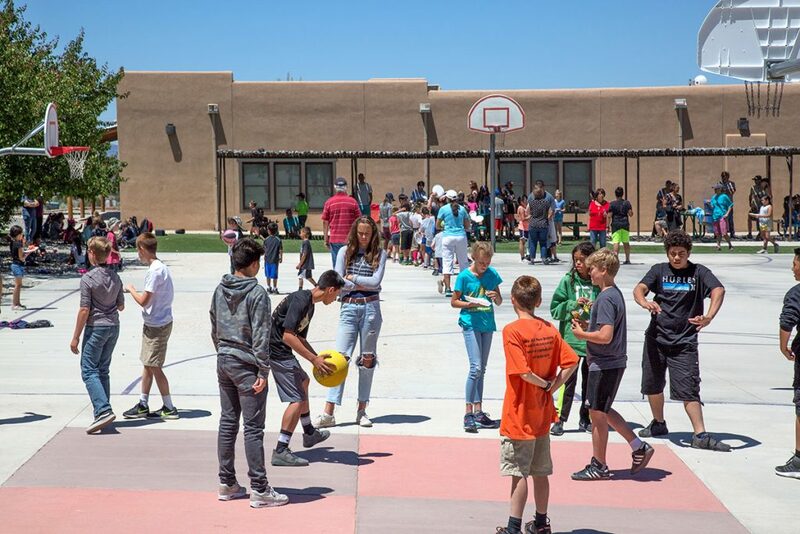 The Taos Charter School Playground was a unique project in that a detrimental situation for the school was turned into a magnificent asset. 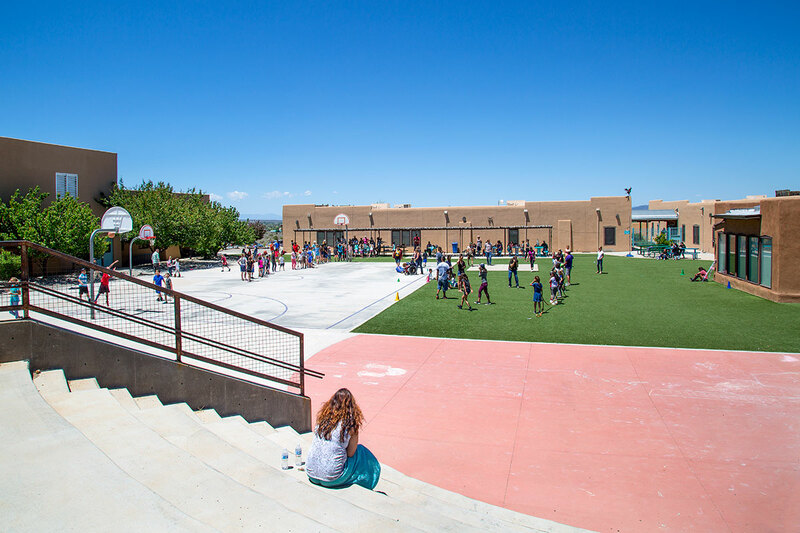 The catalyst for the exterior renovations was a drainage situation that was created by the original construction – water from the pre-manufactured buildings was draining into the crawl space under the buildings causing foundation damage and indoor air quality issues. 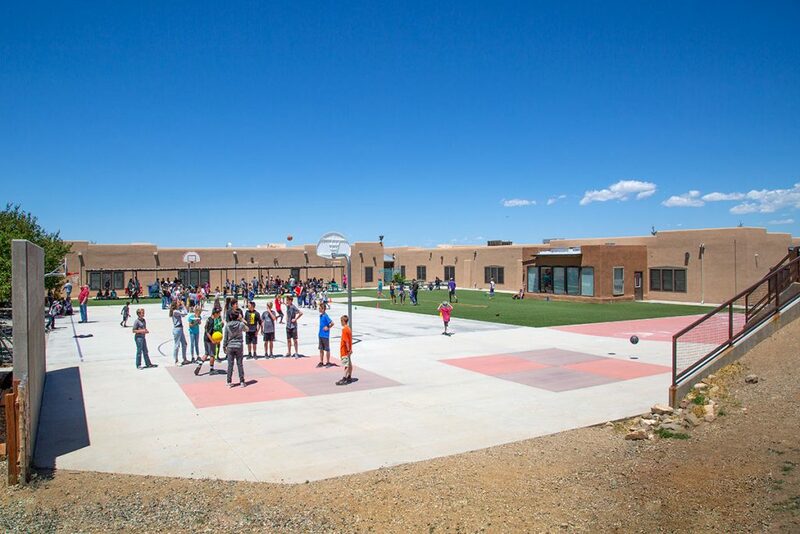 The original buildings were situated to frame a courtyard that was protected from the wind and elements, but also collected the run off without an outlet. 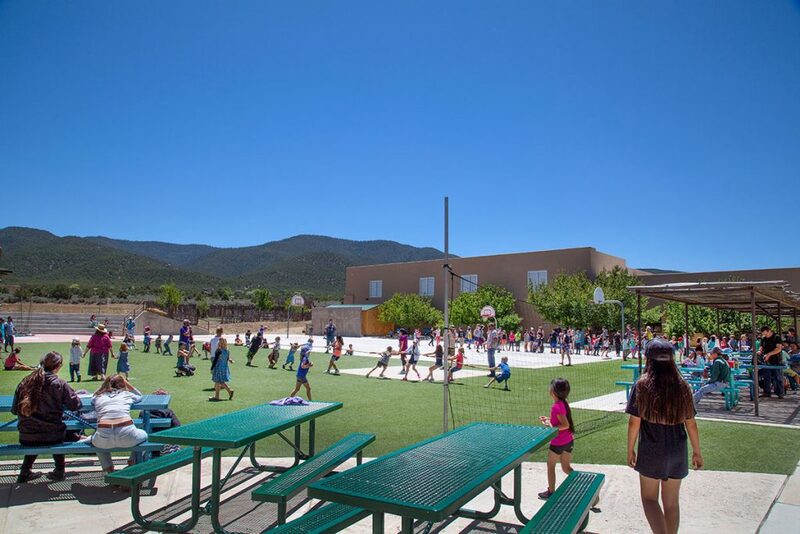 The solution to the problem initially was to pipe and divert the run off around the school. 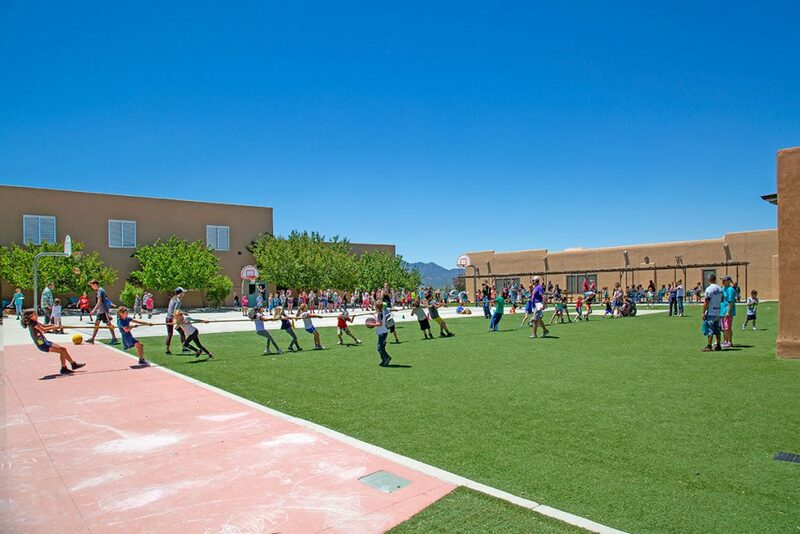 This created an opportunity to use a surface collection system made of synthetic turf that made for a great playing surface as well as directing water and runoff away from the foundation. 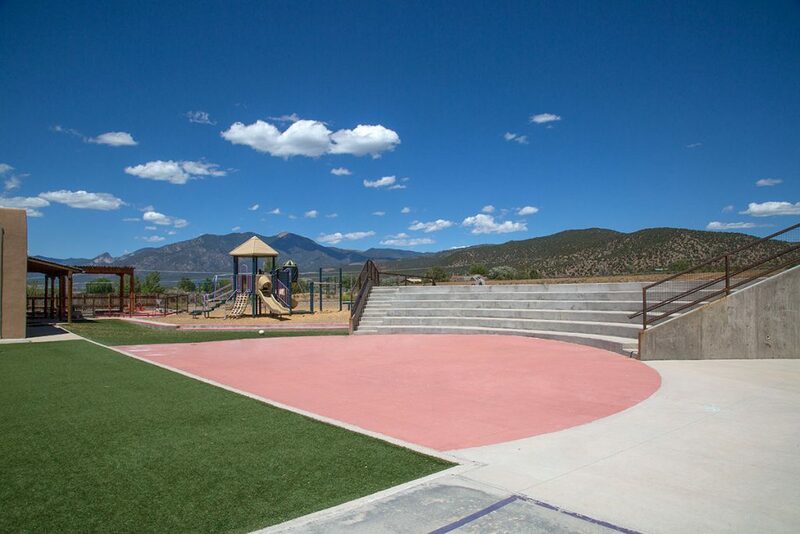 The project expanded to include an urban amphitheater and series of age specific playgrounds. 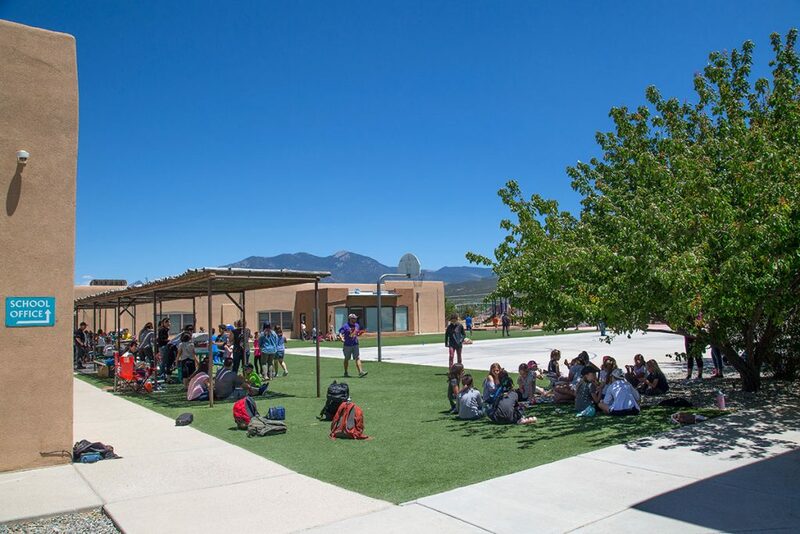 The exterior improvements have genuinely made a contribution to the quality of life for the students and staff. 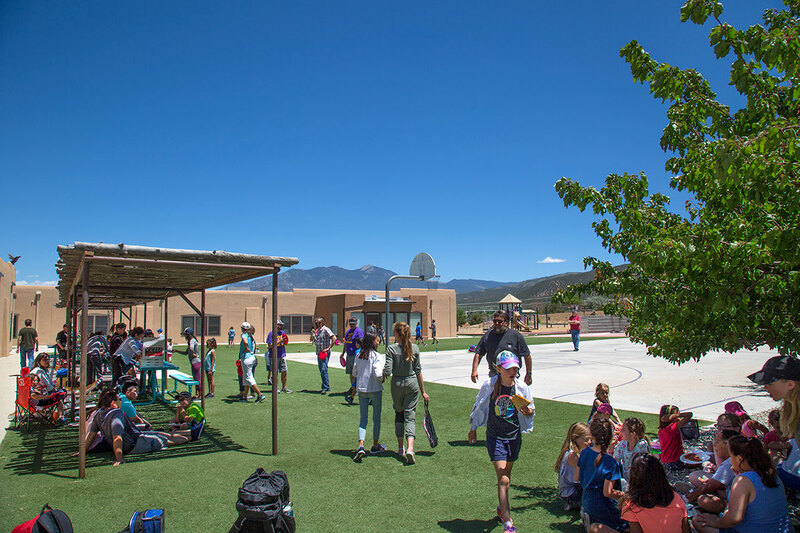 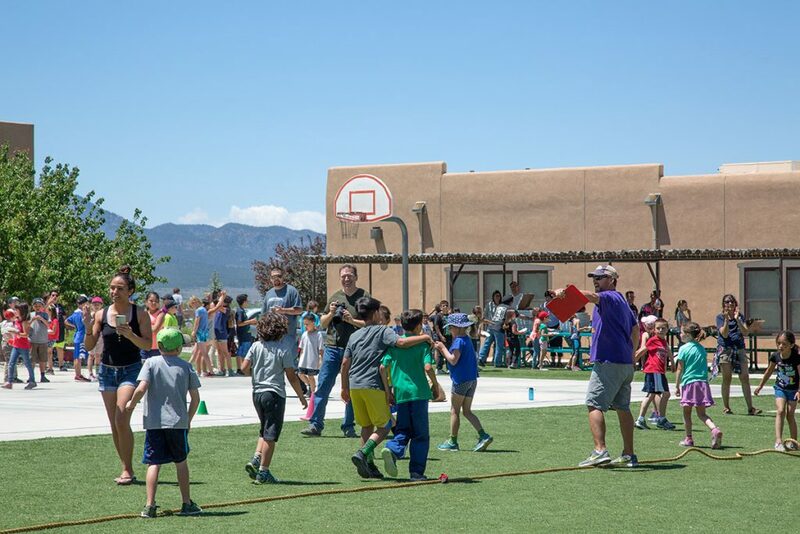 The project expanded teaching areas to the outdoors and created a multi-age specific group of play environments that engage and provide recreation for kids from pre-school through eighth grade.